Opening wine: What is the best corkscrew? What Is the Best Corkscrew for Opening Wine? 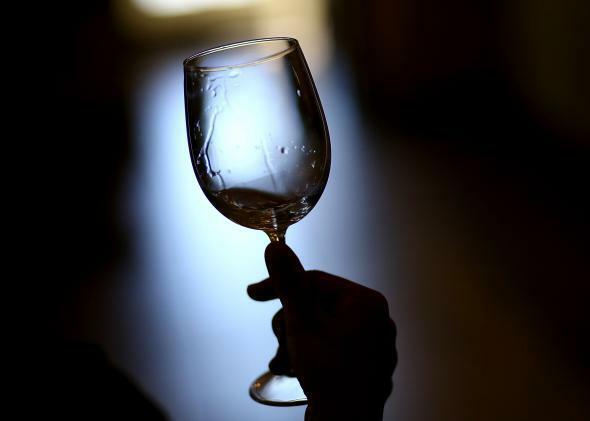 A visitor holds a glass of wine at a winery in 2014 in Napa, California. I have opened, literally, thousands of bottles of wine. One summer I got tennis elbow from opening so many bottles working in our tasting room. I’m with Jim Newcomb on this, but I will narrow it down to a specific model. Most everyone I know—and anyone I know who has opened thousands of bottles of wine—will tell you that the most common and best option from a cost/benefit perspective is the Pulltap’s Double-Hinged Waiter’s Corkscrew. Pulltap’s is a brand manufactured by Pulltex. The main mechanics of what makes the corkscrew great are the two different lever positions and, more importantly, the durability and reliability of the product. They can usually be purchased for around $10 (wholesale much less than that), but they have fancier models approaching much higher prices. Other companies make dual-lever-position corkscrews, but they’re usually cheap or break easily. The Pulltap’s has a really polished design in a lot of ways: It’s strong, heavy in the hand, balanced, easy to use, and the details are well–thought out (i.e., which direction the point of the screw points or the Teflon coating, etc). Most importantly, they’re fast. I know that the speed of using a corkscrew is not something most people worry about, but I’ve used a lot of different ones, and I can open a bottle with a Pulltap’s in seconds. If you really want to spend a lot of money on a corkscrew: Don’t. Or you have two options. First option is to buy one of the extra fancy Pulltap’s corkscrews that have wood handles or Swarovski crystals and what not. The other option is, as far as I’m concerned, a Château Laguiole corkscrew. You don’t get the double hinge, but the corkscrews are made extremely solidly from beautiful materials. If you open a lot of wine or have formal training, you probably don’t need the double hinge, but if you’re anything like me, you lose corkscrews like they’re going out of style, and you’d rather lose $10 than $150. Tools: Why do Swiss Army Knives have such sentimental value attached to them?